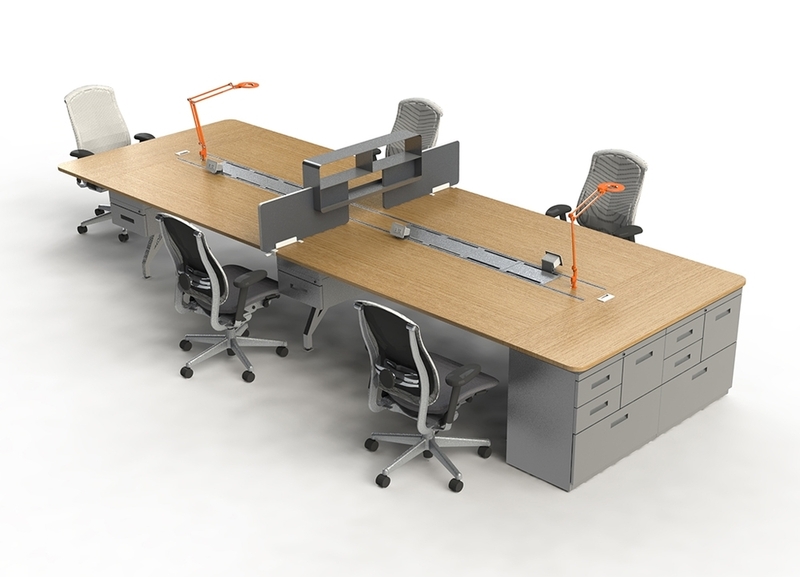 EYHOV desk system is ideally suited to teamwork and collaboration. 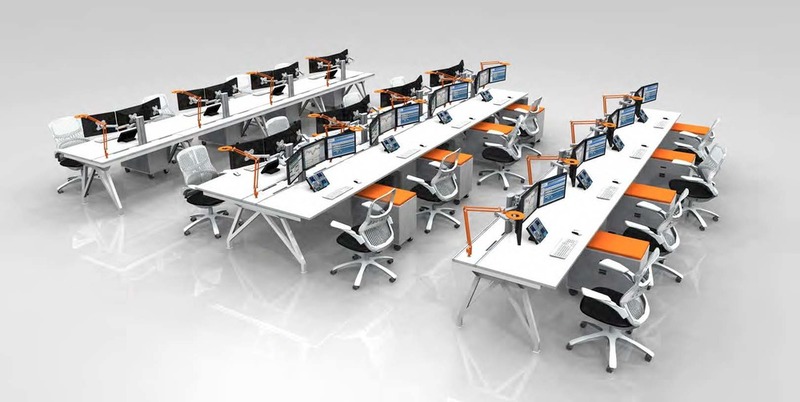 The adaptable nature of EYHOV allows you to create unique and dynamic working environments. Flexible configuration options mean any business type or size will find a way to meet their needs today and tomorrow. We recognize that today's dynamic business environment requires employees to be adaptable and team-oriented. This starts with providing a workplace that can meet the needs of how teams form and change over time. 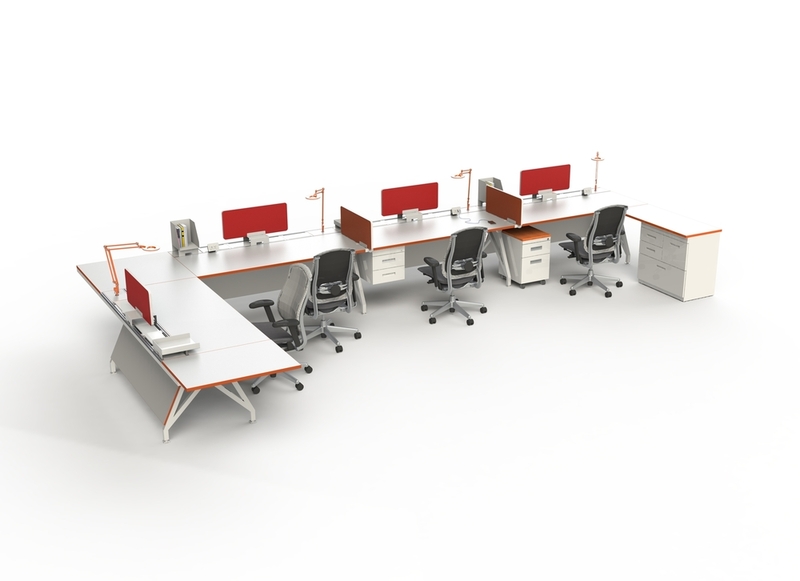 EYHOV desk system is a foundation for collaboration that delivers features to inspire your teams while maximizing the value and longevity. Teamwork without compromise. 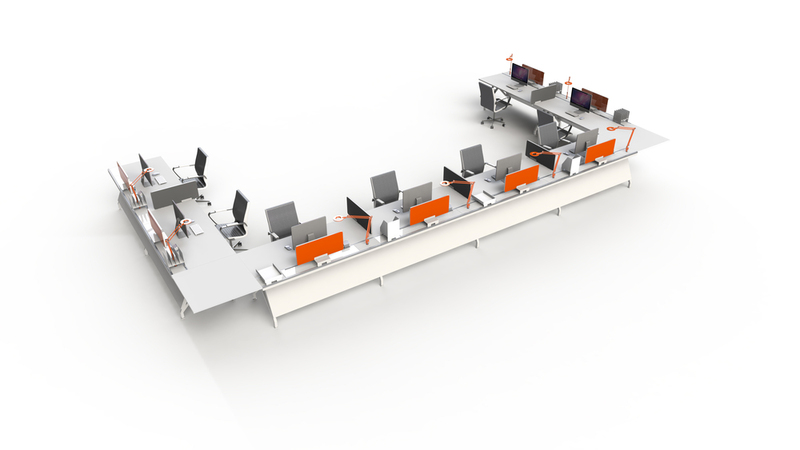 EYHOV desk system offers a range of modular components that enable endless flexibility in configuring around your requirements. And when your business expands or needs change, EYHOV can be reconfigured quickly and easily without special tools. 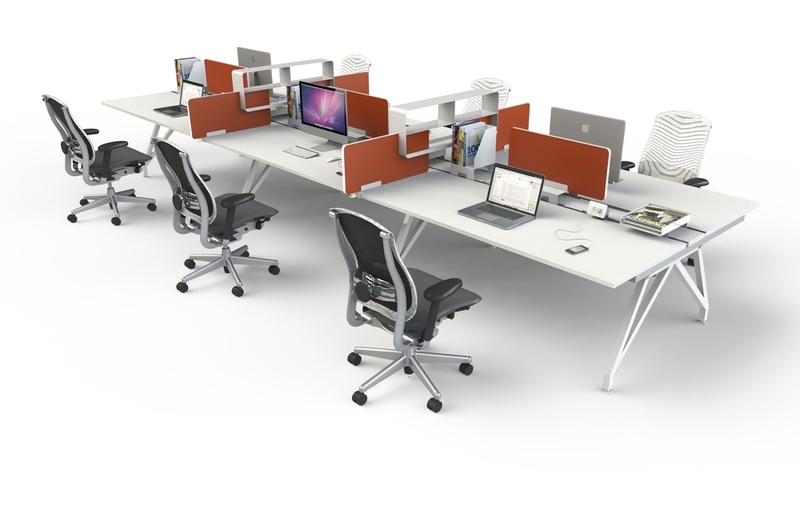 Accessories like privacy screens, power and data management, storage, and integrated task lighting ensure a streamlined environment that fosters collaboration and creativity while letting business get done. 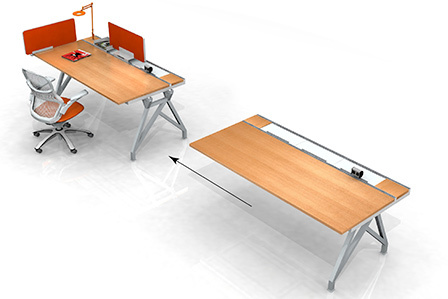 EYHOV desk system was conceived to be expandable and modular. 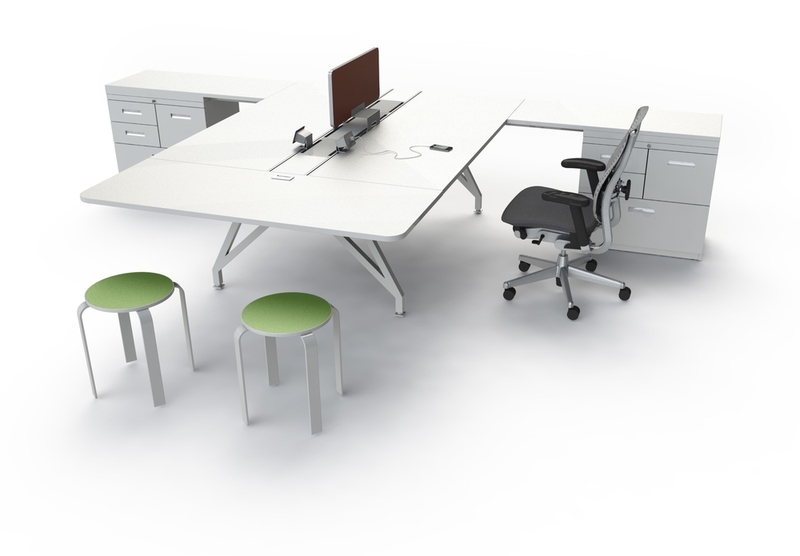 Your small office environment can easily support the needs of your team. 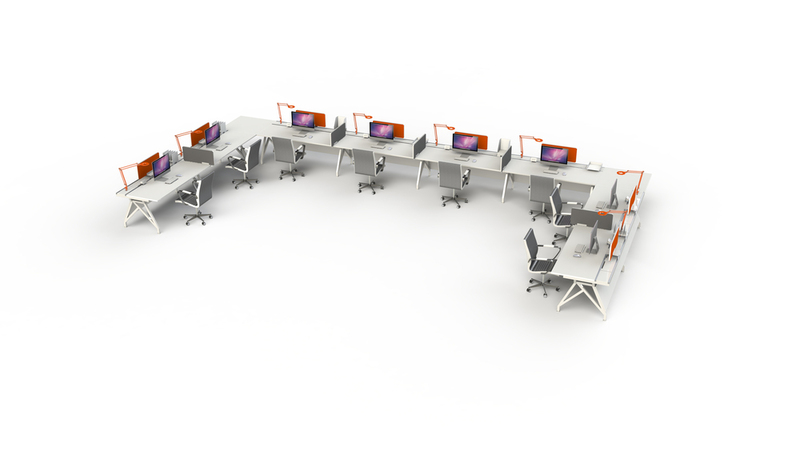 Each EYHOV single or double workstation is a building block for something more. Larger or growing businesses can quickly adapt as demand increases. 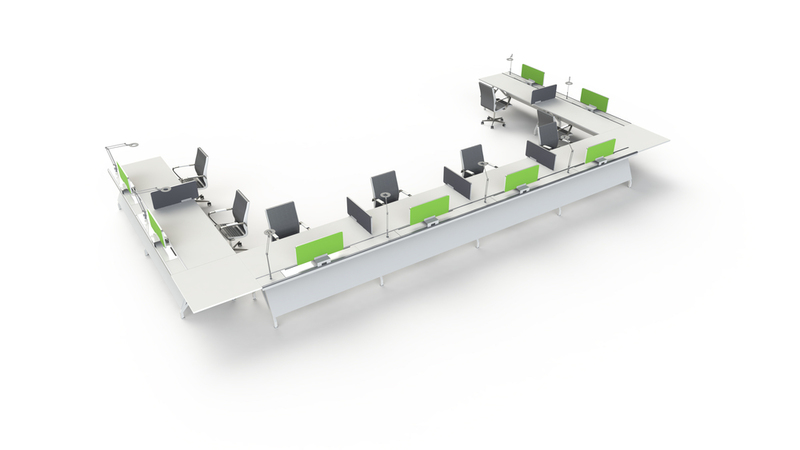 Add more workstations quickly and easily - with no special tools. Privacy screens, power and data management, storage, and integrated task lighting provide functionality for any environment. 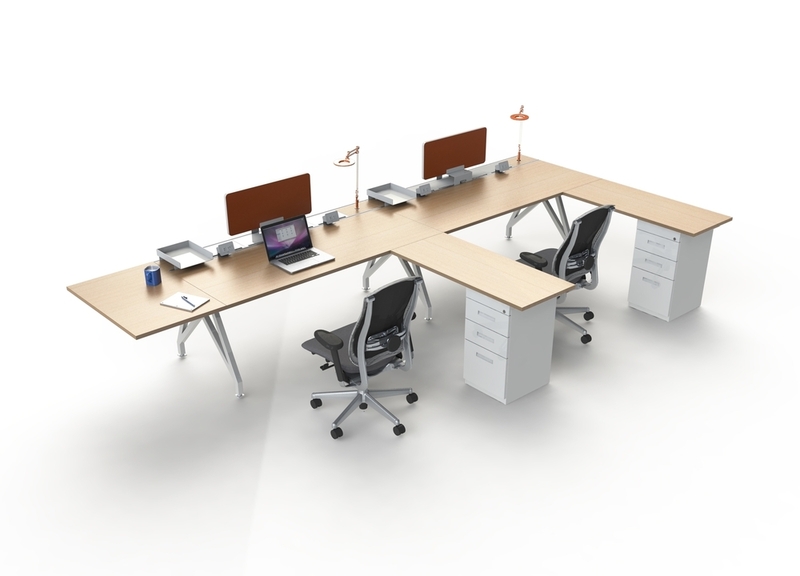 Corporations appreciate the high value and flexibility offered by EYHOV desk system. By using modular components creating, adapting, and expanding is quicker, easier, and less costly. Large-Scale, Multi-Purpose EYHOV Deployment. Our design team will get you set up.